Stuffed vine leaves make a delicious healthy Mediterranean dinner. This classic Greek dish from our Olive Garden Nutrition parade typifies the healthy Mediterranean diet. It's a bit fiddly, but cooked now and again will have your family oohing and aahing. Get the kids on board to wrap the parcels so that they too can learn from an early age about olive oil benefits. Ingredients for your experiment with Olive Garden Nutrition! 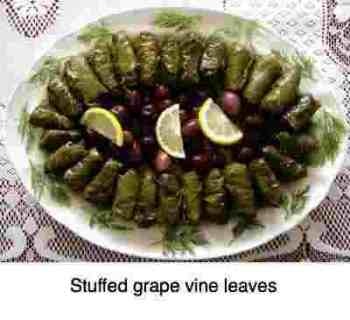 Here are a few supportive links to consider when making stuffed vine leaves dishes. You know I hope about parsley benefits; so much more than a garnish. Ever thought of growing lemon trees? The perfect tree for every garden. What's so special about olive oil benefits? Stuffed vine leaves are a bit fiddly but worth the effort occasionally. Many recipes call for freshly squeezed lemon juice. It's good stuff, but even better is the whole lemon pulp. Careful to get the pips out, though. Many of citrus' vital ingredients are found in the pulp. Boil the grated onion and some salt in a little water until tender and the water has evaporated. Add half the olive oil and saute lightly. Mix the onion, uncooked rice, grated zuccinis, mint and/or parsley benefits, sliced olives, salt and pepper. Place a TBSP of the mix onto a vine leaf, and roll making a small parcel. Lay a couple of vine leaves first on the bottom of a large pot and place the stuffed vine leaves in a circular fashion, with the lemon slices dotted here and there. Add lemon juice and the remaining oil. Cover with a small plate to keep the vine leaves tightly wrapped. Add three cups of warm water, cover the pot and boil gently. Test one after forty minutes. Add more water if the rice isn't quite cooked. DONT LET THEM BURN! Arrange the stuffed vine leaves on a large platter with perhaps olives at the centre, or another Mediterranean dish such as fried eggplant recipe, another of my favourites. Scatter lemon slices, and sprigs of mint or parsley. It's all about Olive Garden Nutrition. Don't forget the Greek salad. Here's a variation; instead of the zuccini, use half a kilo of mincemeat and a couple chopped tomatoes. Add another sliced onion on top of the parcels before placing the plate on them. Throw in a chili. The Mediterranean peoples are great on Olive Garden Nutrition. That's probably the main reason why they live longer, healthier lives. Olive oil benefits are of course at the very centre of Mediterranean cuisine, so it comes no surprise that your stuffed vine leaves include a healthy sample of Athena's gift. If you love olives, and want to eat them by the dozen (like it do!) then buy them by the can, and then enjoy pickling olives yourself. It's really very easy, and you can choose your own flavours, and experiment with dill, and pimento... to buy them already pickled in small quantities is prohibitively expensive. PICKLING OLIVES ... so easy, one quarter of the price. Literally. Nerves are coated in a fatty myelin sheath. Without it, no conduction can occur. Ask anyone suffering from Motor Neuron Disease and Multiple Sclerosis about it. Oleic acid is the MUFA found abundantly in olive oil and avocado fat; it's the main constituent of myelin ... good fat, healthy fat is vital for health nerves. And so olives and olive oil is a vital subject for Chiropractic help, and in your stuffed vine leaves dish. When did you last eat avocado and olives? Freshly ground flax seed too is rich in oleic acid, but it is the best non-fish source of omega-3 fatty acid. Read more at olive oil health benefits. White rice has an EXTREMELY high Glycemic index. It gets turned very rapidly into blood sugar. 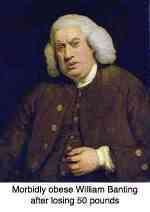 That stresses the pancreas that has to pour out insulin to lower that blood sugar, which is then stored as FAT. Glycemic Index and Carbohydrate Count Chart. In this stuffed vine leaves recipe it's less important as the overall GI of the meal will be low. The first vitamin was discovered, Thiamine, vitamin B1, when an astute Dutchman noticed that the chickens of the rich (who ate white rice) got beriberi, but those of the poor didn't. Whilst frank beriberi is today rare, most Western people are deficient in thiamine, so general malaise, tingling in arms and legs and feet and a feeling of generalised muscle weakness is not uncommon. You'll find some sites describing legumes and nuts as anti nutrients; it's because of the phytate content in them. They would frown on making stuffed vine leaves with lentil protein. Added synthetic phytic acid indeed adsorbes up to 50% of some of the minerals like iron and calcium. However, by soaking, cooking and exposing naturally occurring phytates to fermentation this detrimental effect is greatly reduced. You can read more about it at are phytates bad? The same is true of wheat and oat bran which they conveniently ignore; what we do find is that a sourdough bread recipe is a lot more friendly, and the lactobacillus fermentation reduces that effect of phytates. In addition, if you don't get some of your protein from legumes and nuts you're going to be eating far too much meat. The World Health Organisation of long consideration of the scientific studies has declared that meat is "probably" cancer causing. So, take your pick; cancer or some loss of minerals by phytates? 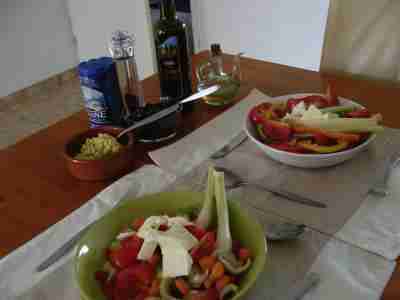 There are only three ingredients that are definitive for a Greek salad; olives, extra virgin oil and feta cheese. You can barely see the bowl but there are enough for 10 to 15 apiece; if you buy large tins, they aren't expensive. Seriously health conscious people of the Mediterranean sea would only enjoy a Greek salad with olives containing their pips; and another bowl of quick hummus. I love the flavour of balsamic vinegar, but many are filled with chemicals; read the label, and rather use lemon juice if you can't find a decent condiment.